By clicking the link in the tweet above, you can get a lot of info & frequently asked questions about the system. Now, if you want to know how to turn them off, here’s what to do. Just open your Settings app, tap Notifications & scroll all the way to the bottom. 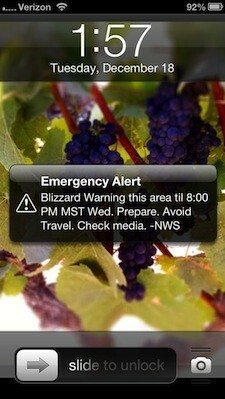 Again, if you don’t see these switches, your provider doesn’t support these alerts yet. Hope this helps! Let us know in the comments if you see these and what provider you have so we can get a better idea of who is supporting these alerts at this time and who’s not. I’m on Vetizon and got an Amber Alert for the first time today. Your instructions worked for turning them off on my iPhone 4S. Thanks! i have sprint and I don’t have any notification mode on my phone.. How can I turn off Amber Alerts? So today we had an Amber Alert in our area and I swear everyone I know got a notification on there phone… I have the iPhone 4S with iOs 6.1.3 update.. I looke threw a friends phone and the tab to turn the alert on is as you show but my phone does not have either options (government or amber alert) idk if updating my phone took those options off? I have the same problem.. Were you able to turn it on?? Just got one for the first time on TMobile after a “Carrier Software Update” to an iPhone 4S that I got before TMobile started to support iPhones. and it goes away. How do I get it back? I have the same problem, but I haven’t seen an answer yet. To re-view an alert, unlock your phone (if it’s locked) and open the notification center by sliding your thumb from the top/center of your screen towards the middle – kind of like pulling down a screen. AT&T iPhone 5 iOS 6.1.4. 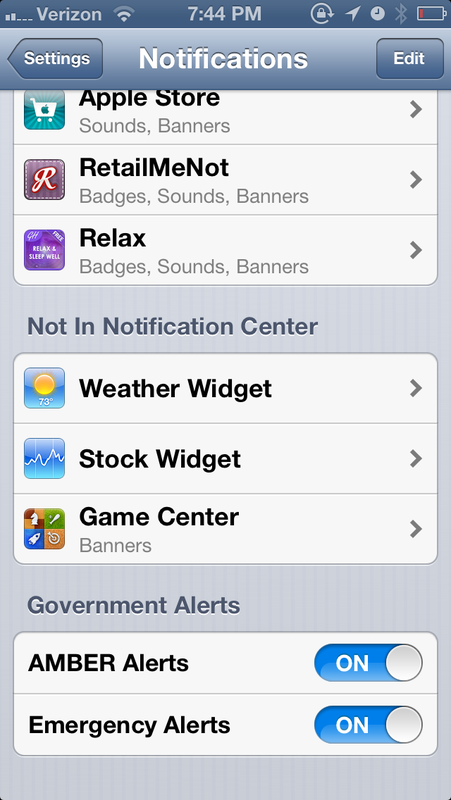 No amber alert in the notification center. Any other way to get them back? I have a Verizon iPhone 4 and I’m not able to turn on these settings. Any suggestions? 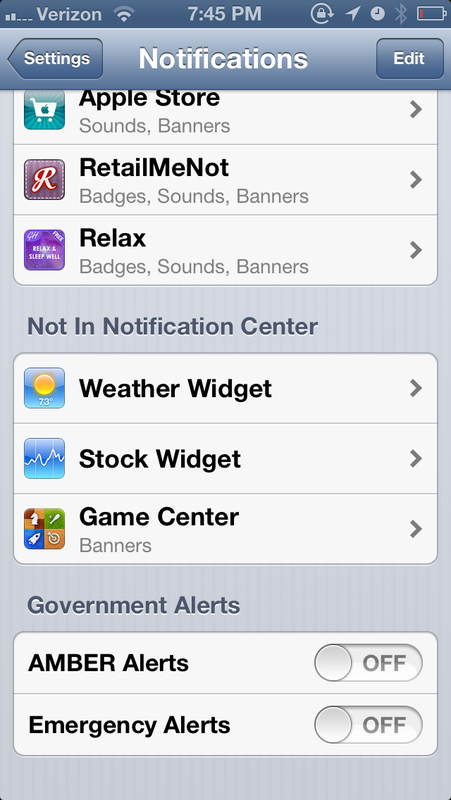 4s with same vers of OS with regard to Govt Alerts ? 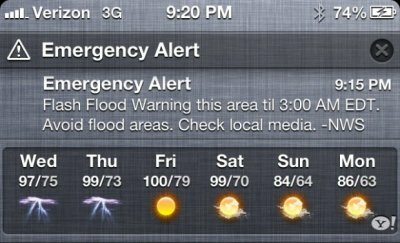 I like the alerts but I don’t want the alarm sounding. How do I turn off just the siren alarm? I’m running iOS 7.1.2 and it didn’t work for me. I went under notification center and there was no option to turn it off. Just got Amber a,eat while asleep. When I grabbed phone I lost alert. How can I retrieve alerts?